St. Michael faith community in the Central City of Milwaukee has welcomed refugees and immigrants from South east Asia and around the world and sings and prays together every Sunday in many languages and styles of music. This presentation will offer music from the singing traditions of the Lao and Hmong, the Hispanic traditions of Puerto Rico and Mexico, the African American tradition and the music of new refugees from Myanmar. It will also talk about how these groups work together at this parish, and offer concrete examples of the riches of Intercultural worship. 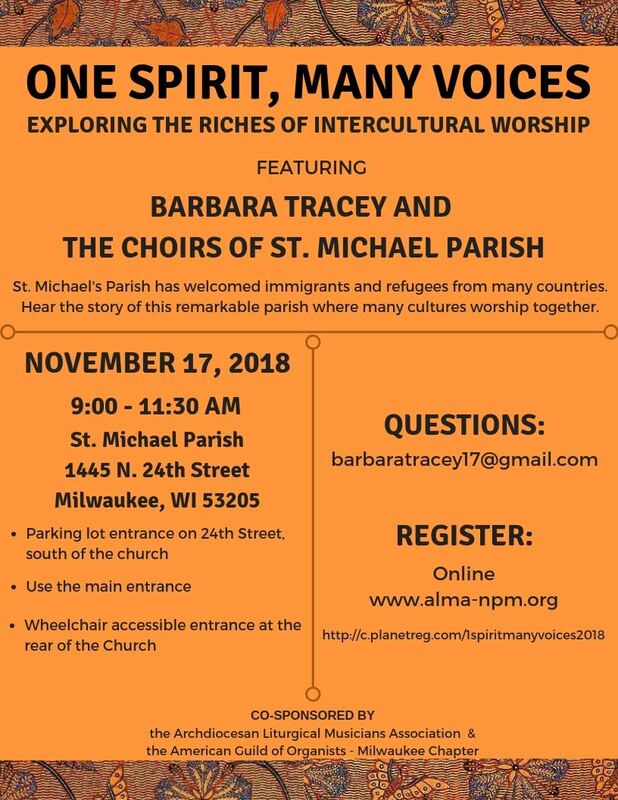 You will have the opportunity to listen to music, to hear stories, to join in singing and to ask questions of those involved in music at this unique parish.